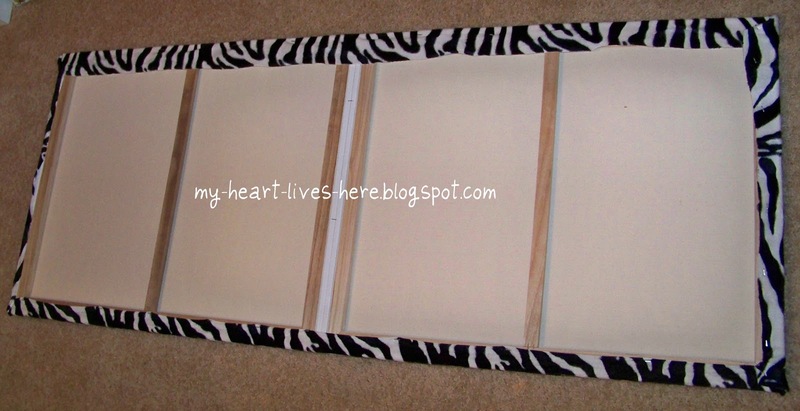 I made this very easy and inexpensive zebra wall hanging for my daughter's bedroom. Of course it is not a real headboard, but it fills the spot above her double bed. 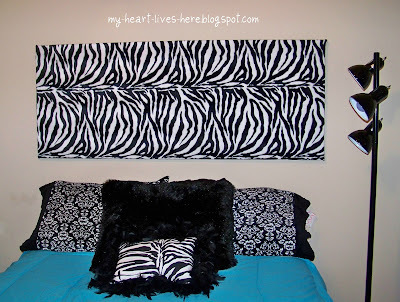 I just purchased two 24 X 30 canvases and some plush zebra fabric. I placed the two canvases so that together they measured 24 x 60. I stapled the fabric to the canvases and hung the project on four nails. It is very light weight. Please visit my last post here. I need some opinions on which rug to buy :). What a great idea! So adorable and I love Zebra! Great job! Very creative! PS Please come show this off at my place next Wednesday if you can! You could win a $5 Starbucks card! 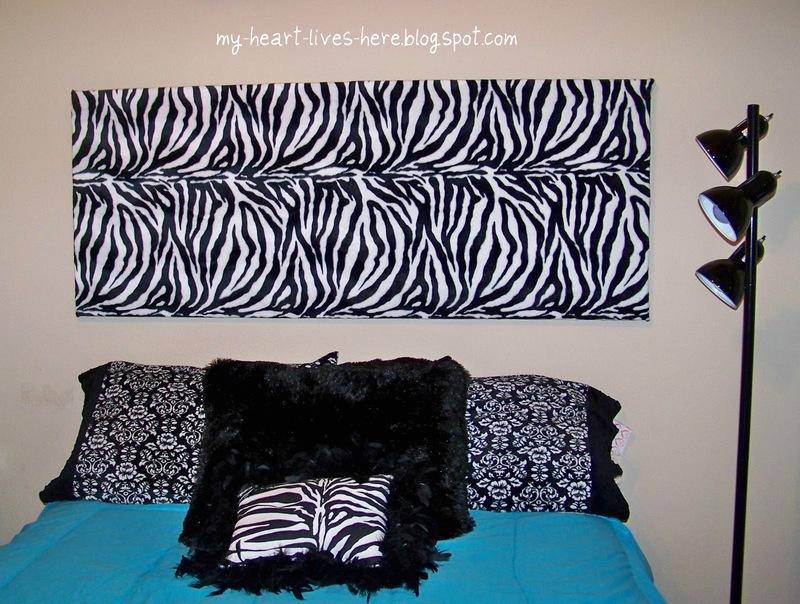 It's fabulous...love zebra, and what a perfect touch for above her bed!! Oh what fun! And you can just change out the fabric when you are ready for a change. Well done! Love it! I did something similiar a while back, but used wrapping paper on canvas for cheap art in a pre-teen room. We love zebra at our house! I am a new follower. 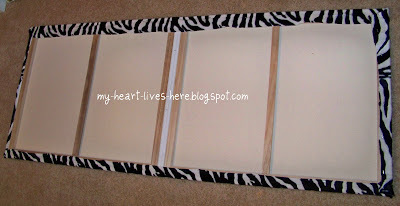 What a neat idea to use canvases that way! I wouldn't have thought to do that, and they are always on sale at Michaels. Hmmmm... now my wheels are turning. Thanks for linking up to Refresh Your Nest Friday!